Since 1886, Ascham School in Edgecliff, Sydney, has been driven by a strong and widely-respected academic program from Prep to Year 12. Ascham School is one of the few schools in Australia with a managed print room, but the contract with its existing print supplier recently came to an end, presenting it with a daunting challenge. To meet its needs, the school required a cost-effective solution that would deliver smart and modern print options to prepare students for their future careers while freeing up time for teachers to teach, rather than stand in front of printers waiting for print jobs. Dane Marcus, network manager at Ascham School, who had previously worked with printing powerhouse Konica Minolta at another school, sought the company’s help at a pressing time – one week out from Christmas when the school needed immediate print support. “Despite the busy holiday period, the Konica Minolta team responded quickly, and managed to get someone onsite to evaluate our current position, and future requirements,” Marcus said. Marcus said the cost-effective and student-friendly nature of Konica Minolta software and hardware were major driving forces behind Ascham’s decision to purchase Konica Minolta C3070 and 6120 production machines. Konica Minolta installed 25 multifunction devices across Ascham, as well as the C3070 and 6120 production machines with Accurio Flux software. The team provided finishing equipment in Ascham’s print room, managed by an experienced, full-time Konica Minolta print room operator. 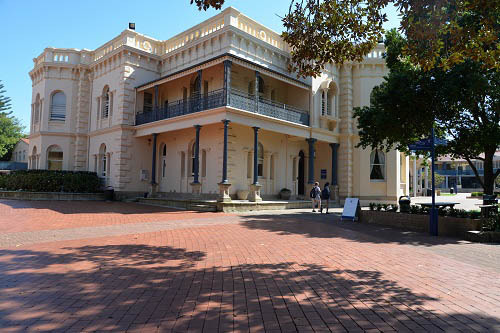 “The Konica Minolta team visited Ascham and comprehensively assessed our requirements. They made recommendations based on our past and future needs, demonstrating that their print solutions would be tailored to our unique setting,” Marcus said. As a result of the new print technology, Marcus said the school’s staff and students can now print “with minimal interruption, and experience excellent turnaround on jobs”. “The new print equipment just operates in the background without anyone having to think about it,” Marcus said. He added that the school has received “overwhelmingly positive reviews” from its teaching staff on the new technology, particularly towards the Accurio Flux software. “Accurio Flux is far more modern and streamlined than our previous system, and staff have reported how much quicker and easier it is to upload files, select options for print jobs, and quickly receive print jobs back in their hands from the managed print room,” Marcus said. Marcus said Ascham’s teaching staff have been grateful for the difference this has made to their daily workloads and time management. “As one of the only Australian schools with a managed print room, we feel Konica Minolta has really helped us maximise its potential,” he said.